December saw a return to finishing huge numbers of books, as much of what was occupying my time during the previous months (job searching) had finally been put to an end (more on this to come), so I had oodles of free time to spend finishing up my library stacks before the end of the year arrived. I completed 16 books, six of which were Agatha Christie mysteries and the other ten an assortment of recent high praise winners, nonfiction contemplations, and review copies of upcoming releases. I was one of the few who did not enjoy Ng's first book, so I set a very low bar of expectations for Little Fires Everywhere, and yet was one of the few who much preferred this work to her first. Little Fires Everywhere is set in Shaker Heights, a quiet Cleveland suburb where everything is done by the rules. Personal troubles are kept hidden from sight until Mia, a wandering photographer, and her teenage daughter Pearl enter the town and disrupt the kept order. Little Fires Everywhere asks hard-hitting questions about adoption and birth culture and what it means to be family: is a family made by blood or by care? I wasn't sure how I'd feel about this one as the description of Eleanor sounded irritating and there are so many ways the author could have gotten her characterisation wrong, but it's an endearing tale with a loveable lead. Eleanor Oliphant is Completely Fine tells of Eleanor, a woman who lacks social skills and lives according to her own particular lifestyle, who is befriended by Raymond, a coworker, after they save an old man on the street. It's the perfect combination of happy/humorous and sad moments and the plot is woven such a way that you don't quite know what will happen or what will be revealed next. I was underwhelmed by this one, unfortunately. Sing, Unburied, Sing is a sorrowful tale of unconventional families and the South's ugly, buried roots that is told from multiple perspectives. It sounded promising and has received much high praise recently, but the supernatural elements didn't add anything to the book, and I would have rather it just been about the modern day characters. Tozer begins by identifying a major problem in the church in his day, and consequently still today: people do not understand what it truly means to be a follower of Christ and experience God's presence. He then presents solutions that are more practical than theoretical in nature, focusing on continually pursuing God even past the initial point of acceptance of salvation. Tozer's language is easy to understand yet also so rich; I read this one slowly to savor it, and plan to read it again in the future. As intrigued as I was by the premise of this one, I just couldn't get into it. The plot is simple - Alfred Busi, a aged singer, is attacked outside his home one night by what he thinks is a small child, and from there the story turns into commentary on xenophobia and how towns get rid of their undesirable inhabitants. While I appreciate the points made in the book, the pace is so contemplative and descriptive that I had a hard time getting through more than a few pages at a time. A fascinating read about the U.S.'s history of mass incarceration and minimum sentencing. Forman uses Washington D.C. as a foundation for studying the effects of rampant heroin and crack availability in the 60s and 80s, widespread gun violence, and the increased use of African American police forces and looking at how incremental changes over the decades created the prison system the U.S. has today. A detailed and passionate yet unbiased read. This is my second Leav work, though my first of her poetry, and I find her style to be a good balance between profound and simple. Whereas poets like Rupi Kaur try too hard to make metaphors work as emotional expression, Leav works more straightforwardly. Her works are short -- never more than a page -- and full of heartfelt language that tells of an emotional experience as simply as possible. However, this simpleness does not always work, and some of the poems in Sea of Strangers felt like filler pieces. 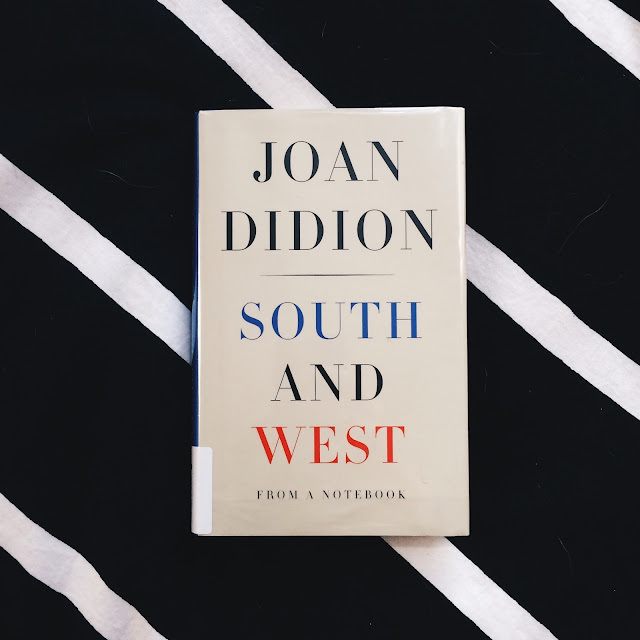 The release of South and West was what initially pushed me to dive into her work, starting with Slouching Towards Bethlehem several months ago, which I enjoyed. However, South and West did not also gain my love. As an assortment of journal-type entries from Didion's time driving through the Deep South in 1970, it's interesting to read her perspective, but she approaches the area with an unconvinced haughtiness that was hard to shake through its pages. One of my 2017 resolutions was to read all of the Miss Marple and Hercule Poirot books, and I made steady progress (though not completely successful) through the month of December by finishing six more titles. I'm grouping them together as there's not much different to say about each; Christie nearly always surprises me with her mysteries, she's an expert at red herrings, and she's always fun to read.